This is a copy of the site rules, always available from here, make sure you are up to date with them before you start using the site! Dear user, be warned that breaking these rules can, and will, get you banned! By registering an account on MMA-Torrents you automatically understand and accept these rules. Make sure you read and follow them. -> To be able to continue to use the torrent tracker you must maintain a positive share ratio at all times. -> You must strive to keep your overall ratio at or above 0.6 at all times. Lower then this will get you a warning. (Always try to stay above 1.0 if possible). -> Never let your ratio fall below 0.4 because you risk that your account gets auto-disabled for low ratio. -> If you are MMAVIP you are immune against auto-disabled for low ratio. BUT if your MMAVIP period runs out and your ratio is below 0.4 you risk that your account gets automatically disabled by the system. -> New torrents that you have downloaded should be seeded to a minimum of share ratio of 0.4 before removing them from your torrent client. -> After downloading you should always strive to seed for minimum 48 hours what you have downloaded. "Hit n Run" is punished with ban. If you have an exceptional ratio on the torrent in question a premature removal is accepted (read seedboxes). -> Freeleech torrents (have a star in front in torrent list) does not count to your downloaded, only uploaded ratio. They are "free". A user's share ratio for any individual torrent is a number determined by dividing the amount of data that user has uploaded by the amount of data they have downloaded. Final share ratios over 1.0 carry a positive connotation in the BitTorrent community, because they indicate that the user has sent more data to other users than they received. Likewise, share ratios under 1 have negative connotation. This means that if you download 1 GB you must upload 1 GB to maintain a 1.0 ratio. Your over all ratio is calculated by dividing the amount of GB's you up and downloaded. Our rules allow you to maintain a slightly lower ratio and still remain active. You can see your current ratio on the HOME page just under "Welcome, yourusername". When could I risk getting auto disabled? When your ratio drops below 0.4 you will get a warning in a Private Message here on the tracker that will tell you that you have 2 weeks to improve your ratio. If you fail to do so in 2 weeks your account will be auto disabled. To get your ratio up over the minimum allowed again during those 2 weeks you can upload new torrents, add seed on old torrents with leechers and of course donate. If your account gets disabled, do not try to create a new account, instead please use the "Reactivate disabled account" function. -> Everybody can upload. No permission needs to be requested. Just upload! -> All uploads must be MMA, Martial Arts or instructional/training related. -> Always create the torrent as Private! -> Include a description on all uploads. -> Your torrents must be well-seeded for at least 24 hours and at least until someone else has completed the download. -> Do not re-upload material that is still active, search before upload! -> Remember to always try to leave a comment and say THANK YOU to the uploaders! This is the only reward they get for their uploads and it means a lot for them! -> Multiple Accounts - You may not create multiple accounts for disruptive or abusive purposes, or with overlapping use cases. Mass account creation may result in suspension of all related accounts. Only one account per person is allowed except when you have specific permission from the site admins. Uploaders can if needed request a second account for seeding from "home" if they upload from a seedbox. -> We are an English only site, so please only write/talk in English! -> Do NOT mention or comment recent events anywhere except Forum spoiler section. If its not there already, please make a new thread! -> Do NOT reupload anything you downloaded from the tracker to rapidsharelike filehosts. And do NOT post links to any filehosts on other forum of material you have previously downloaded from here! This will get you banned. -> No asking for invites to this or other tracker, site, or anything similar in forums or comments is allowed. -> No asking for streams or links to similar in forums or comments is allowed. -> No posting of links to streams or similar in forums or comments is allowed. -> No aggressive behaviour or flaming in the forums or chats. -> No asking for invites to other or this site in forum. -> No trashing of other peoples topics. -> No spamming allowed in any part of the community. -> No links to warez or crack sites in the forums. -> No serials, CD keys, passwords or cracks in the forums. -> No requesting in other place then the MMA Forum. -> Please ensure all questions are posted in the correct section! -> Please follow the moderators recommendations and wishes! -> All general questions should be posted in the forum. Remember that a separate registration is needed. Please take your time to register in the forum! -> For personal issues or account related issues you should contact staff in a private message. Thank you for reading the rules! 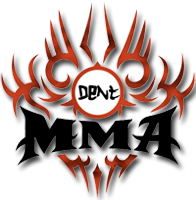 The MMA-Torrents Forum is open for registering while the torrent tracker is invite only / private. You can gain access to the tracker by getting invited by a friend who is a member or by donating to become VIP to show that you understand that we are a community where we all help out with things like server costs etc. Rules are always available from here, make sure you are up to date with them before you start using the site! Last bumped by Dent on Mon Feb 18, 2019 10:01 am.